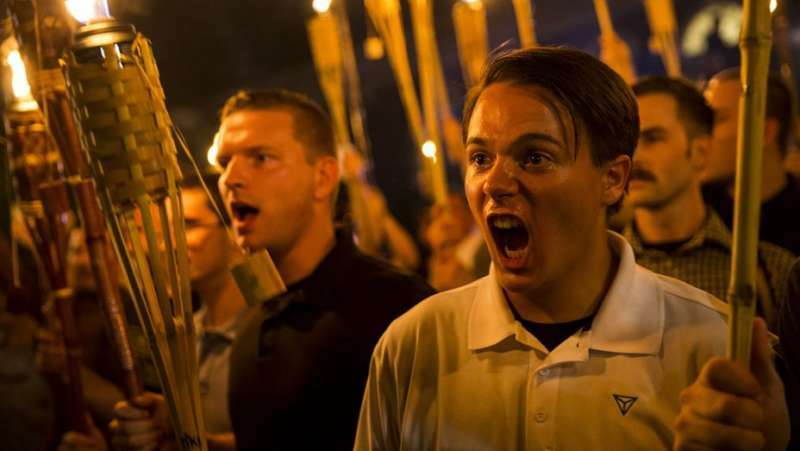 When you think of a far-right white supremacist, what do you think of? Maybe a skinhead with a leather bomber jacket and a pair of Doc Martens? 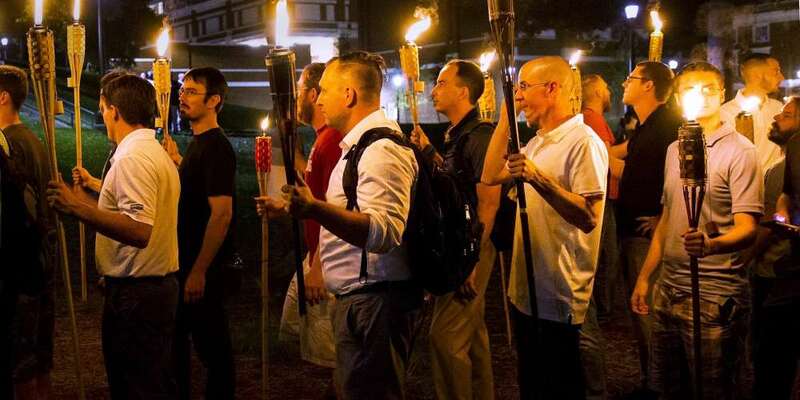 But according to the research of Cynthia Miller-Idriss, that sort of skinhead doesn’t really exist anymore. Her new book The Extreme Gone Mainstream: Commercialization and Far Right Youth Culture in Germany looks at alt-right fashion. She says it’s become more subtle but there are certain things to look out for to identify a modern-day fascist. Though Extreme Gone Mainstream looks at German youth, Miller-Idriss says the same alt-right fashion choices come to American shores. One reason the classic skinhead look died out is generational, but Miller-Idriss tells Vice that where the skinhead identity of old tended to take over one’s identity, modern youth like to flit between scenes. She also says they’re trying to blend in and “[assert] their place in the mainstream.” This also adds a level of “plausible deniability” when it comes to authority figures. For example, the British fashion label Lonsdale has become popular alt-right fashion to youths in Germany. This is because the letters “NSDA” appear in the middle of the brand name, and that’s the acronym for National Socialist German Worker’s Party in German. But because it’s a mainstream brand, they’re able to deny this ulterior meaning. She also points out that many alt-right youth are rejecting camouflage colors. 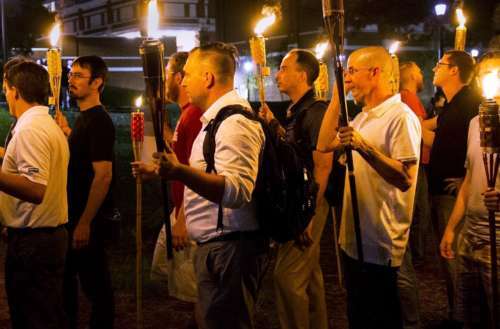 Instead, some of the styles are more “preppy” — like that sea of polo shirts at the Charlottesville rally. Similarly, New Balance sneakers have become popular with the alt-right. 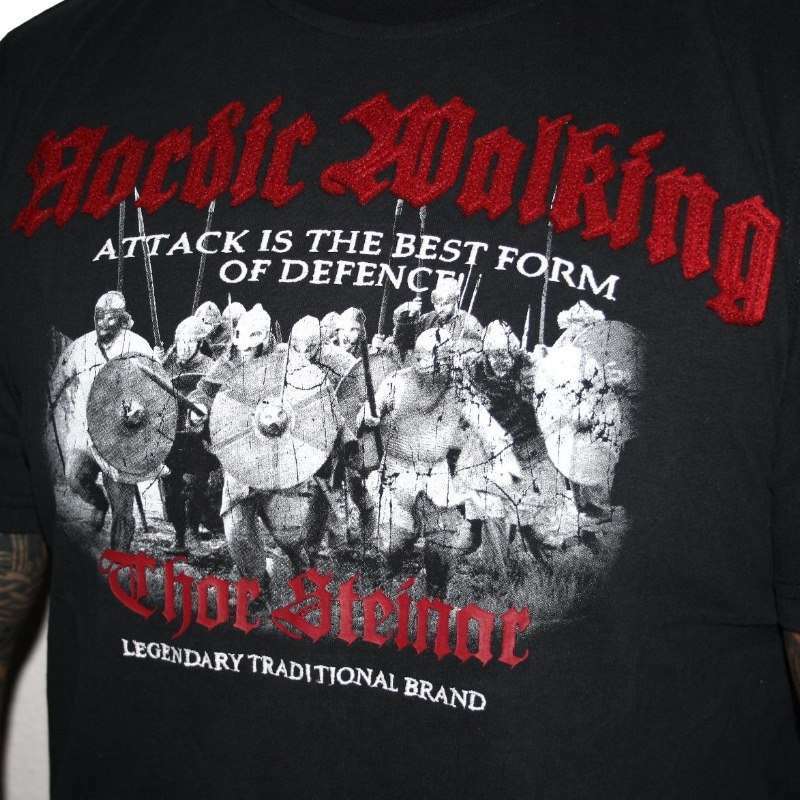 One of these brands, Thor Steiner (the logo of which is a combination of the Tyr Rune and the Wolfsangel, two symbols appropriated by white supremacists), has a U.S. trademark. While the brand doesn’t have any stories or websites in America yet, it does sell via a distributor and is trying to expand. Finally, Miller-Idress points out the scariest thing about the move of alt-right fashion to mainstream looks.